Well we just had transfers and I am in the same area as last transfer. Whether I'll ever make it back to ASL remains to be seen, but the Papago Ward is a wonderful place to be and I'm excited to stay another 6 weeks. My new companion is Elder Cox and he's a wonderful missionary. 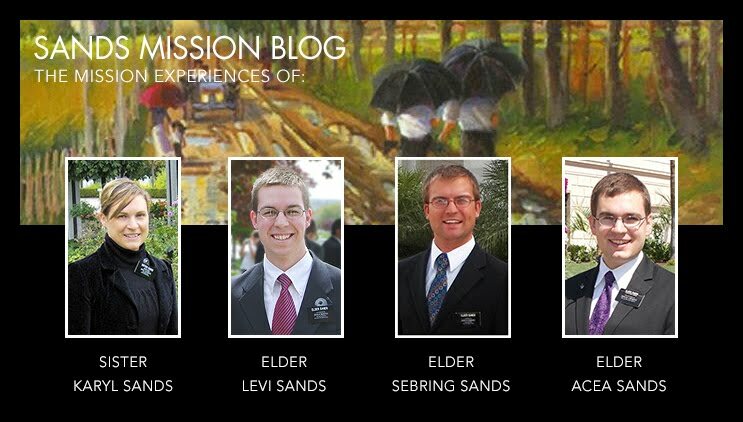 I actually knew him from my very first week in the mission field. When I went back to join the rest of the missionaries who arrived the week after me, I stayed at his apartment with another missionary. He looks a lot different after a year. I just witnessed my first sealing in the temple this last Saturday. The Tanner family, after many years of preparing and working towards the temple, have finally taken the step to receiving their endowments and getting sealed together with their family. They were so ecstatic when they were sealed together for time and all eternity, and I know that they have a very powerful testimony of temples.